Openly Secular | U.S. Corporations Should Ask Boy Scouts: Why Are Nonreligious Boys Still Unwelcome? Washington, D.C. – Following the vote Monday by the Boy Scouts of America to end its ban on gay leaders, a group of secular Americans has a message for the the corporations that stopped funding BSA due to their biases: do not donate again until everyone is welcome in the Boy Scouts. 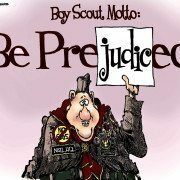 While removing the barrier for gay leaders is an extremely welcome change, the Boy Scouts’ longstanding ban on non-believers and the nonreligious in their scouting ranks and as adult leaders is still in full force. The Openly Secular campaign asks the Boy Scouts to reconsider this policy and examine its underlying biases, and it calls upon U.S. corporations to hold back support until the nonreligious are treated fairly. 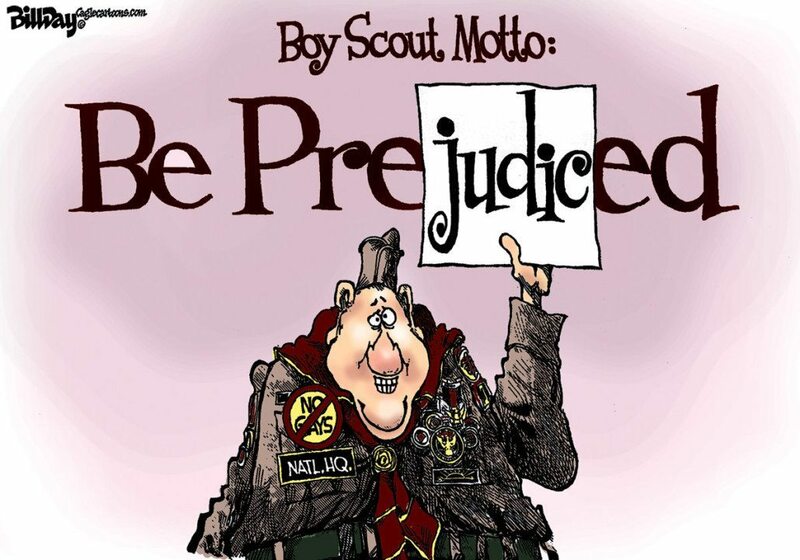 Major corporations, such as Intel and Disney, had pulled their support for the Boy Scouts due to its anti-gay policies. Openly Secular asks that before support is reinstated, these companies consider the plight of boys from nonreligious families who have been similarly blocked from participation. “In formal letters we will be asking corporations that so effectively stood for gay acceptance to also help break down the stigma the Boy Scouts have attached to good, upstanding, non-believing boys who would be scouts and adults who would be leaders,” said Stiefel. According to the latest polls 23 percent of Americans say they have no religious affiliation and over a third of Millennials reject religion. A significant proportion of the nonreligious say they have no belief in God. Yet boys from millions of these American families are being denied the opportunity to join a scouting troop unless they lie about the true nature of their belief. How is that a lesson in honor?